In case you missed it, Stonebridge has new days for garbage (Mondays beginning January 11) and recycling (Thursdays beginning January 14) pickup in 2016. Pick-ups are every second week during the winter. Leaves and grass pick up (green bins) will be every second Tuesday beginning May 3. Please note: A special collection day for recycling has been added (not included in your print or online collection calendars) on Monday, January 4. This is in response to concern that there would otherwise be a gap of more than 3 weeks as we transition to the new schedule. Team registration is now available online. 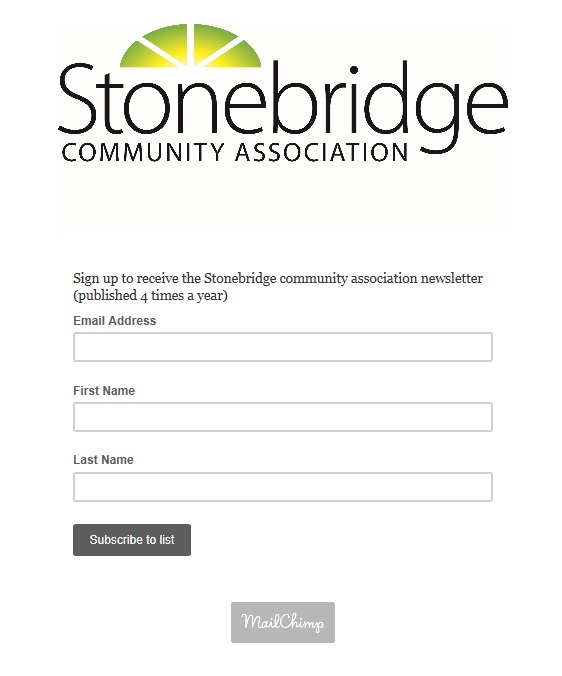 If you have questions, please email ourstonebridge.programs@gmail.com. With December comes the holiday season, and what better way to celebrate than being part of the Stonebridge Christmas lights tour. Add your house to the tour by selecting “leave a comment” above or by sending us a Facebook message. And for those who want to experience the tour, watch the coming events section of our website as we add more addresses. Happy holidays!